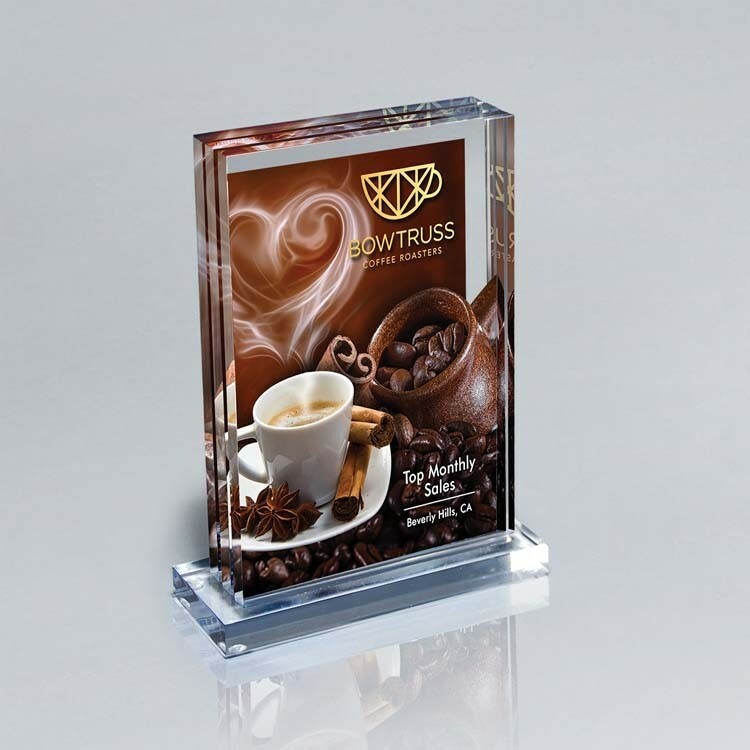 Layered dimensional Lucite award creates floating images and an in-depth multi-dimensional effect. Price includes 3 surface imprints, with up to as many as 6 locations to imprint on. Free Set ups on Quantities of 6+ (1 location).